1. Revd. 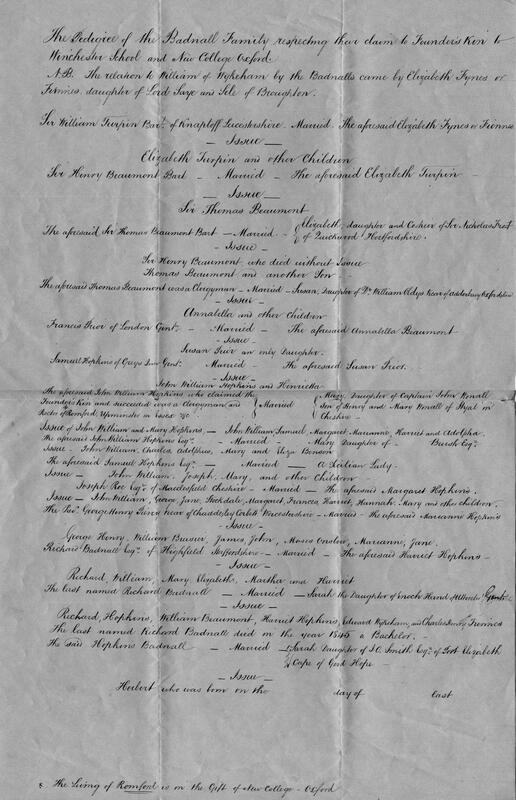 John William HOPKINS (also known as [unnamed person]), son of Lieutenant?? 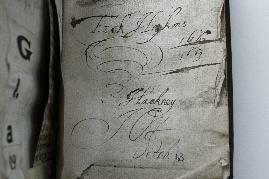 Samuel HOPKINS Genteleman of Hayes (c. 1674-1743) and Susanna PRIOR ( -1758? ), was born in 1734. He was baptised on [Julian] 20 May 1734 in St. Andrew's, Holborn, City of London. He was a Clergyman. He was a Rector of Upminster, Essex. and St.Mary's Westminster. He married Mary WORRALL on 13 February 1766 in St. Lawrence Jewry, Milk Street, London. He died in 1780 in Upminster, Essex. He was buried in Nave of the Church, Upminster (South Side). 2. Lieutenant?? 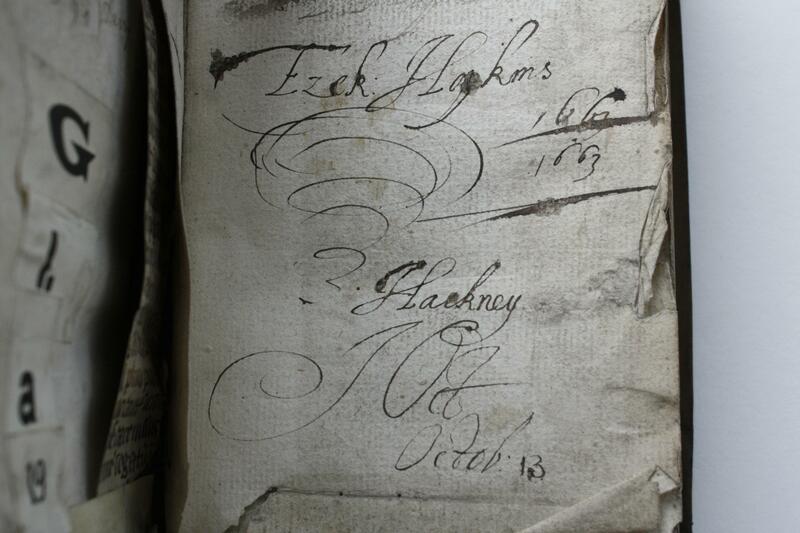 Samuel HOPKINS Genteleman of Hayes, son of Right Rev Ezekiel HOPKINS and Alicia MOORE, was born circa [Julian] 1674. He married Susanna PRIOR circa [Julian] 8 January 1732. He died on [Julian] 5 July 1743. 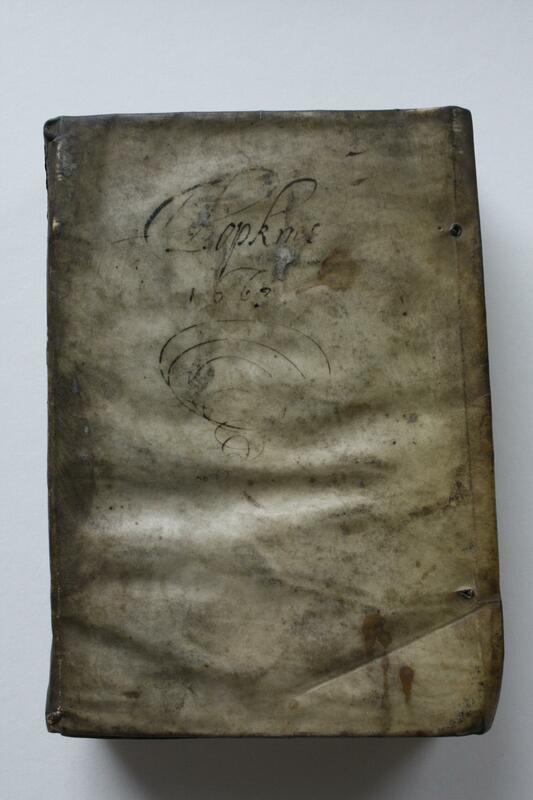 He made a will in 1754. He was. He was buried in Bucknell Church. He married Elizabeth UNK. He married Priscilla UNK. 4. 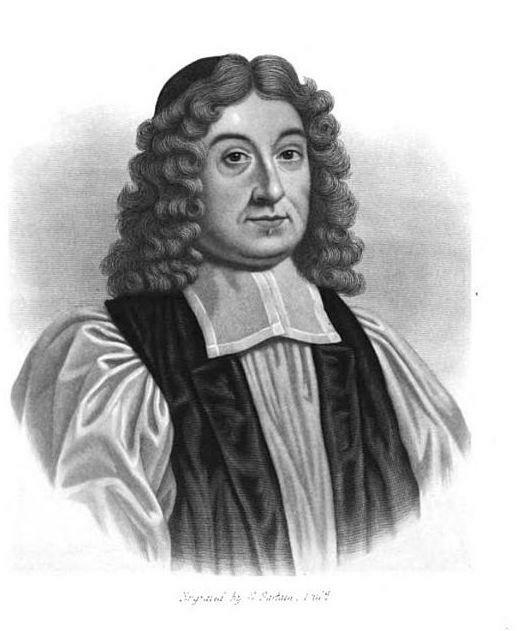 Right Rev Ezekiel HOPKINS, son of Rev'd John HOPKINS and Anne UNK, was born on 3 December 1634. He was a Bishop in the Anglican Church; Puritan. He had the title 'Right Rev, Bishop of Derry and Raphoe'. He married Alicia MOORE circa 1670. 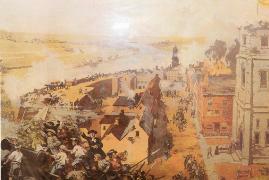 He married Araminta ROBARTES on 21 October 1685 in Derry, Ireland. 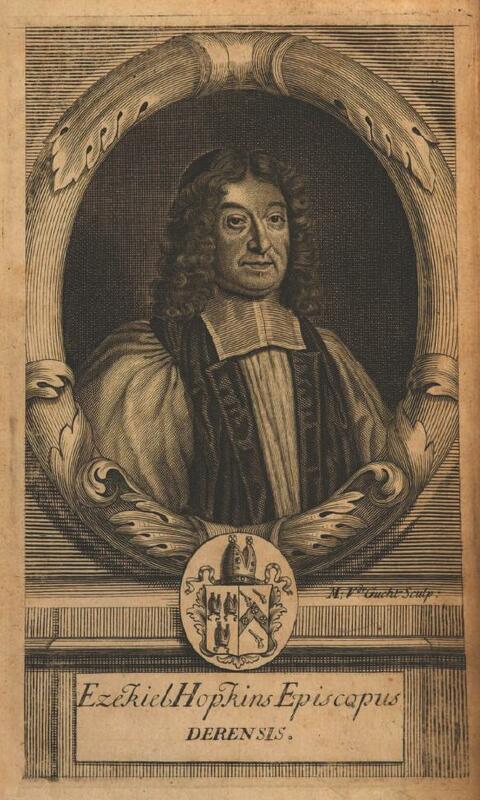 He died in 1689. 6. Francis PRIOR Gent. (also known as [unnamed person]) died. He married Annabella BEAUMONT.